Let’s Talk about Love . . . Thank you for being part of this community! Keep reading for more on clinging to a flawed definition of love, news about upcoming summits, and updates about the This Way Up Audio Book! You can always find me at ThisWayUpBook.com. Is Love All You Need? Not Really. I explored the concept that we are clinging to a flawed definition of romantic love in my latest article on Thrive Global. The idea of romantic love tells us that we all have a soul mate out there, that it is our task to find our one true soul mate, and we will know when we find him or her because we will have a very special feeling. Botton describes this search for romantic love in his very entertaining talk “On Love” from The School of Life. You can watch this insightful talk here. Anyone who has experienced a romantic relationship knows that this logic is flawed in so many ways! In Atlantic magazine’s article “Masters of Love,” psychologists John and Julie Gottman describe their work. Together they have studied thousands of couples in a quest to figure out what makes relationships work. From the data they gathered, they were able to separate the couples into two major groups: the masters and the disasters. The masters were still happily together after six years. The disasters had either broken up or were chronically unhappy in their marriages. Read more about this on my blog post. Ultimately, if we are looking to live happily ever after together, we need to ditch the antiquated idea of romantic love and move forward in the spirit of kindness and generosity. I am so excited to be participating in several events in February and March. Each summit or master class is completely free and full of amazing information from a host of experts. 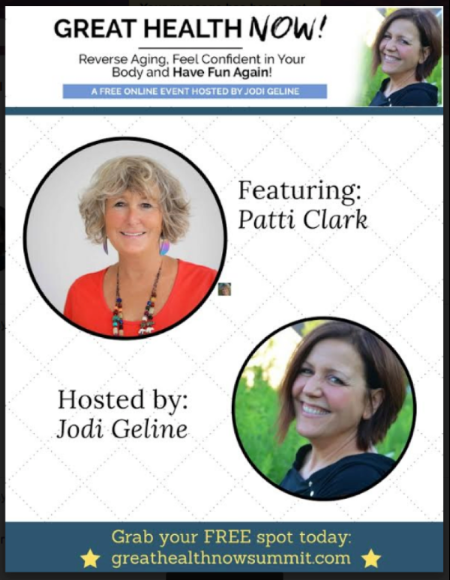 Great Health Now: Reverse Aging, Feel Confident in Your Body and Have Fun Again! 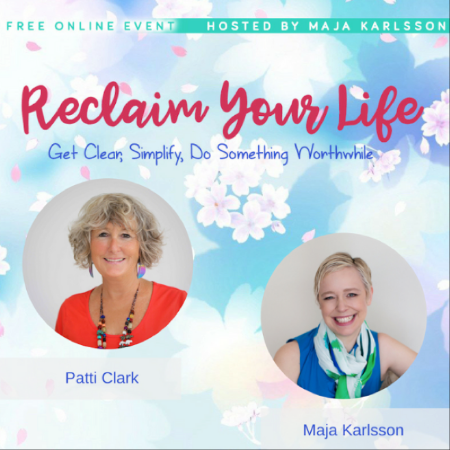 Free master class series where you will discover how to get unstuck, expand your vision and live your greater potential. 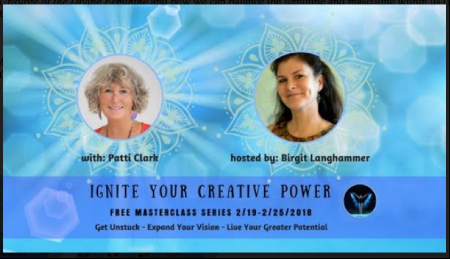 This intimate, high-value, high-profile master class series wil explore the topic of the unlimited creative power of women to help them activate and realize their deepest desires and dreams. 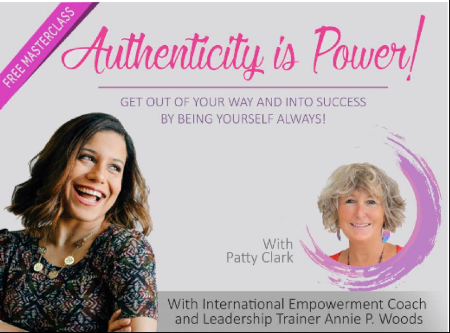 Authenticity Is Power: Get out of your own way and into success, by being yourself always! This Way Up is being made into an audio book! The book is being narrated by the fantastic character actress, Janice Kent. When it is ready, it will be available on my Amazon page and I will send a special link for the book in my newsletter. I can’t wait to share this new version of the book with you! There has been an amazing study done at Harvard that has lasted over 75 years. 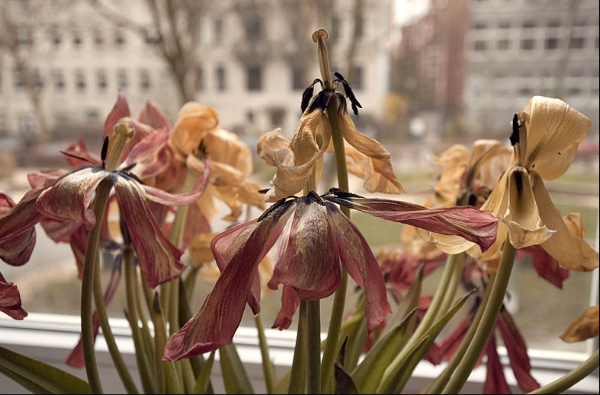 Robert Waldinger describes this study in a new TED talk, and the findings are hopeful. The Harvard Study of Adult Development may be the longest study of adult life that’s ever been done. For 75 years, we’ve tracked the lives of 724 men, year after year, asking about their work, their home lives, their health, and of course asking all along the way without knowing how their life stories were going to turn out. Three big lessons were learned about relationships. The first is that social connections are really good for us, and that loneliness kills. It turns out that people who are more socially connected to family, to friends, to community, are happier, they’re physically healthier, and they live longer than people who are less well connected. And the experience of loneliness turns out to be toxic. The second big lesson that we learned is that it’s not just the number of friends you have, and it’s not whether or not you’re in a committed relationship, but it’s the quality of your close relationships that matters. It turns out that living in the midst of conflict is really bad for our health. High-conflict marriages, for example, without much affection, turn out to be very bad for our health, perhaps worse than getting divorced. And living in the midst of good, warm relationships is protective. And the third big lesson that we learned about relationships and our health is that good relationships don’t just protect our bodies, they protect our brains. It turns out that being in a securely attached relationship to another person in your 80s is protective, that the people who are in relationships where they really feel they can count on the other person in times of need, those people’s memories stay sharper longer. So in a nutshell, the study tells us that the good life is built with good relationships. And we can all work on that. I’d love to hear about how you nurture your relationships. And as always, thanks for taking the time to visit, I appreciate it. Women and Men – maybe not so different after all? Ok, so I have to admit it. I have learned so much from this recent argument with my husband. I guess I can even say that I appreciated the argument! Yes absolutely men’s and women’s brains work differently. There are fundamental variations between male and female brains that mean we communicate and respond to situations differently. In a relationship, these differences can unintentionally cause misunderstanding and conflict. It’s generally accepted now that women tend to be wired towards empathy, whereas men develop stronger interest in systems, or how things work and that impacts on how we speak and deal with people. Neuropsychologist Dr Anne Moir, who featured in the video I posted about men and women being wired differently, believes that a better understanding of how we are wired differently will help us argue less. Well it certainly helped me move to a place of compassion. After doing research and having a better understanding of how our brains differ, I was able to soften toward Jeff and better understand where he was coming from. It also helped incredibly having a wonderfully rich and fascinating discussion with my dear friends, Jan and Trev. They are both interested in neuroscience. Jan with her background in Psychosynthesis; and Trev with an eclectic background and a wide range of studies, both helped me untangle and look at this stuff in a new way. But actually the experience that really catapulted me into understanding was a situation I had with my own sister. We had a disagreement about something, and she pointed out accurately that I went straight to my head about the situation, while she went to her heart, and emotionally she did not feel met. I felt judged by her (as Jeff had said that he felt judged by me) and my sister said she felt like we were in completely different places while trying to communicate (the same thing that I had said to Jeff.) It was fascinating, and yes, rather uncomfortable. I had to really back-pedal on so much that I had laid on Jeff! What an incredible learning experience. There is an educational one just describing an fMRI and how it works. There are also two interesting videos from talk shows, Jane and The View that feature the Neuroscientist Dr. Daniel Amen, where he describes fMRIs of men and women and points out the differences. Maybe you’ll find all of these videos overload, too much information. But I found it incredibly helpful. And navigating relationships is tough in the best of times. I can use all the help I can get! I’d love to hear what helps you navigate your relationship. And as always thanks for stopping by, I appreciate it. Recent studies highlight a long-held suspicion about the brains of males and females. They’re not the same. I’m fascinated by the fact that men and women’s brains operate differently. When I first started researching this, I wanted to learn more about how this impacted me personally, in relationship to the different communication styles between my husband and I. But the more I read about this, the more interesting it became on a much wider level. A recent study showed Six Things Women Do Better Than Men. The rise of women into positions of power will create a “feminization” of leadership which will be reflected in the increasing importance of emotional intelligence, people skills and flexibility. The demands of the X and Y generations are aligned to the skill-set of female leadership styles. Hanna Rosin, author and journalist, gives a fascinating TED Talk about the Rise of Women. She talks about Women’s skill sets and the new economy. What the economy requires now is a whole different set of skills. You basically need intelligence, you need inability to sit still in focus, to communicate openly, to be able to listen to people and operate in a workplace that is much more fluid than it used to be. And those are things that women do extremely well as we’re seeing. If you read management books now, a leader is somebody who can foster creativity, who can get the employees to talk to each other, who can basically build teams and get them to be created. Those are things that women do very well. I don’t know if this is really The End of Men, as Rosin’s book proclaims, but it is a fascinating theme. Have you experienced The Feminization of Leadership? Please take the time to share your stories. And as always, thanks for stopping by, I appreciate it. I was honored to contribute a post to a blog that I follow, The League of Champions. It is a wonderful blog and well worth your time to explore. In their blog, Kevin and Leanna help people reach their optimum creativity through finding inner peace and loving themselves. Leanna and I agreed to do guest contributions, so I am very happy to share with you their post on Transformational Relationships. There is a solution – by communicating and looking from a different perspective, you’ll not only transform your relationships with others, but also experience a transformation within yourself. Sometimes we’re so loud in asking to be heard that we drown out the requests others are making of us. This is nothing to feel bad about; we’re not doing it intentionally. We all desire acceptance, and ultimately, love. And we deserve it, too – so it’s not uncommon to become more and more adamant about getting it. We just go about it in the wrong way, sometimes. The solution is simply to communicate. Easier said than done, right? However, remember that there is strength in revealing your feelings, not in hiding them. This is where the self-transformation comes in. You owe it to yourself to act as the real you, and let your outside world reflect who you really are and what truly makes you happy. More of yourself is revealed in your interactions with other people. Meditating and soul-searching is important, but to avoid including others is like watering seeds and never setting them out in the sun. Put that soul you’ve cultivated to use by involving yourself with other people – touch them, and share your love. A way to share your love is through communication. Your relationships will blossom as a result. Tell someone how you interpret their actions and words: “When you say this, I hear…” and then be truthful about how they are coming across to you. This allows them to either confirm or clarify their perspective. You’ll get the chance to look through their eyes and see that, the majority of the time, they’re not trying to hurt you. They’ll see how you feel and understand why you’re acting the way you are, and vice versa. Again, you’ll experience a self-transformation by opening yourself to other viewpoints and possibilities of looking at the world. To practice communicating more effectively, start with low-stakes situations. Ease into it. Or just take the plunge. Sometimes you’ve pent up your emotions so much that a release is the only way to deal with them. Remember, feelings don’t make you weak – they just make you human. And you deserve to say how you feel. Remember, it’s not so much what you’re saying, as how you say it. Keep the goal in mind – sharing, love, and communication – and emotions like fear or anger won’t get the better of you and cloud the message. When has effective communication helped you? The League of Champions was founded by Leanna Dindal and Kevin Rae, with the mission of empowering people to achieve their own, personal definitions of success. Developed with artists in mind, The League focuses on unlocking your creativity and finding the inner strength to make your life anything you want it to be. Leanna and Kevin strive to live as Champions: excellent individuals with lives of independence, boundless creativity, and their own, unique self-expression. Find out more at http://www.theleagueofchampions.com. Right or Happy? Not always an easy decision. I was on a beautiful bike ride yesterday on the new Hauraki Rail Trail. It was a beautiful day, sunny and stunning. The only problem was that on the first part of the journey, my husband Jeff and I were in an argument. The argument wasn’t huge, it was a revisit of a common theme. I tend to hyperbolize things . . . (OK and occasionally make stuff up to make a better story), and Jeff tends to want the TRUTH with a capital T in most situations. On this particular occasion, I was talking about something financial, and I did a bit of spinning a tale, and Jeff reacted, in my opinion over-reacted. I won’t bore you with details, but suffice it to say that it somewhat ruined the first half of the ride for me. At the spot where we were going to turn around, Jeff put on his goofy grin and said, so “Do you want to be right or happy?” Which allowed me some space to see the humor, which opened up our communication and we could talk about this latest argument. We talked about the workshop we did with Hugh and Gale Prather in Tucson, AZ back in 1989. It was a relationship workshop and a central theme was Right or Happy. Sigh – I usually want both. The important realization I had though, was that after talking at that mid-way point on the ride, I had such a better time on the second half of the ride. Although I didn’t prove my point and make him see that he was wrong and I was right, I was so much happier after we were able to communicate through the difficulty and move on. The ability to communicate through it was the central key. We both listened and tried to understand the others’ point of view – not to say that the other person was right or wrong, just to understand the other side and accept it as valid for that person. Please don’t get me wrong, this is not an easy decision, and anyone who knows me – knows that I really like to be right! But usually (always?) in relationships there are two sides of a story, two experiences in an argument and both are usually valid depending on which angle you are viewing it from. And yesterday, on the bike ride I viscerally felt the feeling . . . I’d rather be happy. But damn, it is not always an easy decision. For those of you who have not read Notes To Myself by Hugh Prather – it is a beautiful book, well worth a read. Here is a very short clip by Hugh Prather about Attitudinal Healing. Please let me know your thoughts on Hugh Prather and any experiences you have being Right or Happy. Posted in Authentic Self, Authenticity, Communication, Connection, Cooperation, Forgiveness, Frustration, Happiness, Inspiration, Love, Optimism, Paying Attention, Relationships, Unity, Vulnerability	Tagged Authentic Happiness, Authenticity, Cooperation, Happiness, Hugh Prather, Joy, Love, Partnership, Relationships, Right or Happy? What is Authentic Happiness? Is it really possible to achieve? Martin Seligman thinks so, and in my opinion he makes a very convincing argument. One of the most significant factors in finding authentic happiness is learning about our signature strengths and using them daily. Once you discover your own signature strengths, then it’s your decision – do you aim for The Pleasant Life, The Good Life, or The Meaningful Life? You decide. If you take the Signature Strength test, I’d love to hear about your experience. And let me know what you thought of Seligman’s video. Positive Psychology is a popular topic on YouTube – there are several videos to choose between.